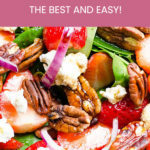 The best and easy (I googled) strawberry spinach salad recipe on the whole entire planet Earth! And healthy. 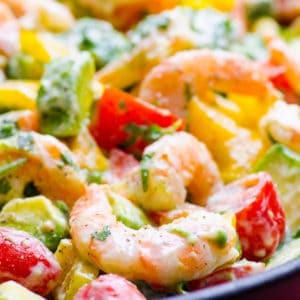 It is also really stunning, colourful and tasty salad for any gathering. A definite remake! 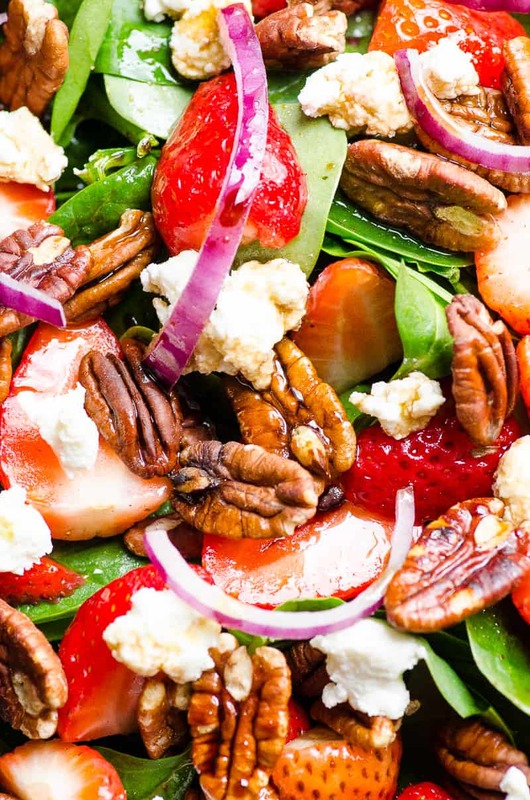 Is Strawberry Spinach Salad Good for You? Did you know that a 10-11 oz box of baby spinach that goes into this salad contains 69 grams of fiber, 89 grams of protein and some crazy amount of vitamins A and K?! 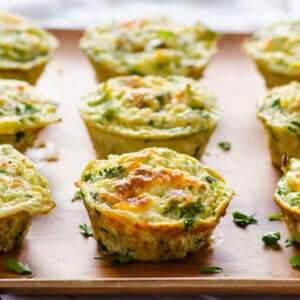 89 grams of protein in grass spinach! No wonder cows are so big and strong. Kids, please note that. 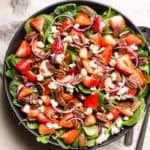 Also sweet strawberries loaded with vitamin C, toasted pecans full of healthy fats, zesty red onion that is nature’s antibiotic. And what can usually kill even the healthiest ingredients is the dressing. But not our healthy balsamic vinaigrette. Tip: I always buy organic spinach and strawberries. That’s why we eat strawberries only when in season. 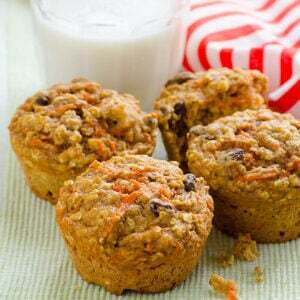 These 2 produce items are heavily sprayed with pesticides that are impossible to wash off. Please check Dirty Dozen for other produce that is important to buy organic. Strawberries rank #1 and spinach is listed as #2 for most contaminated foods!!! Don’t love balsamic? 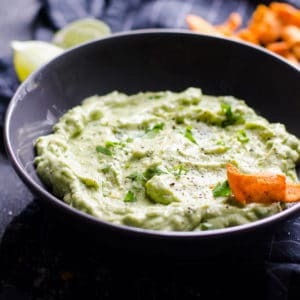 Try my healthy poppy seed dressing instead. Both dressings can be prepared ahead and refrigerated for up to 4-5 days. Just warm up balsamic vinaigrette on a counter for 15 minutes and give it a shake afterwards. It will be smooth and flowing again. Bad weather and can’t find strawberries? Use fresh blueberries or blackberries instead. Want to make it in fall? Apples and pears are a great option instead of strawberries. Also some readers love to add pineapple tidbits and mandarin oranges. Out of pecans? Roast almonds, chopped walnuts or even cashews. 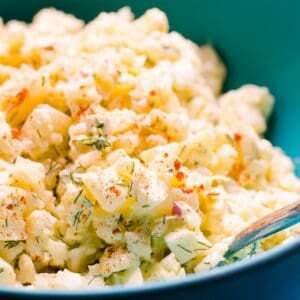 Feta crumbles are great substitute for goat cheese. Can I Make Ahead This Salad? 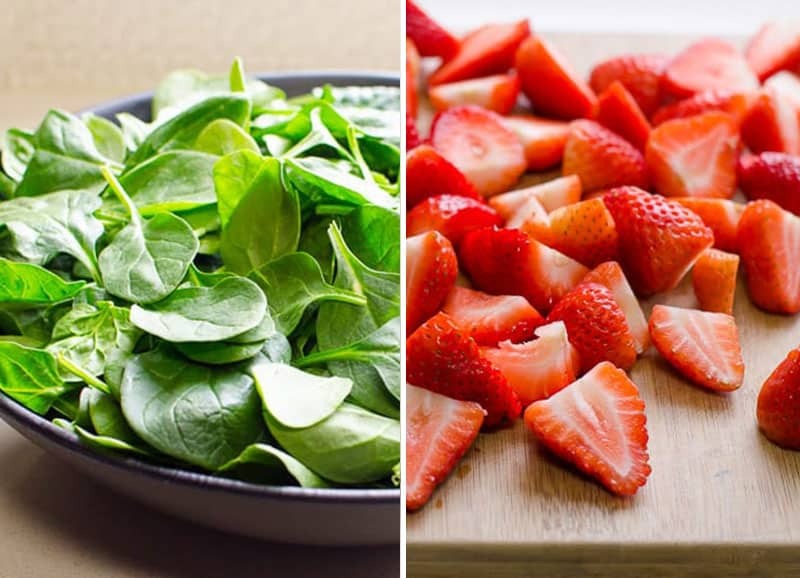 Spinach and strawberry salad is a great make ahead salad. It is a perfect candidate for Easter or Mother’s Day brunch when strawberries are in season. 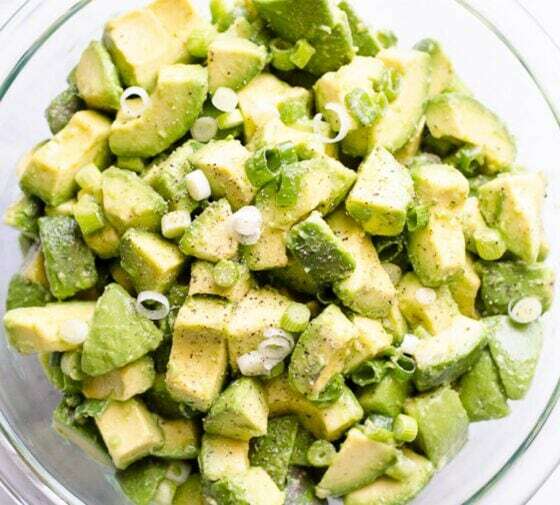 Refrigerate covered salad in a bowl and dressing in a jar separately for up to 2 days. I always buy pre-washed organic baby spinach, so I can easily add it to a salad bowl right before mixing. If you like nuts super crunchy, store them separately in a dry place. 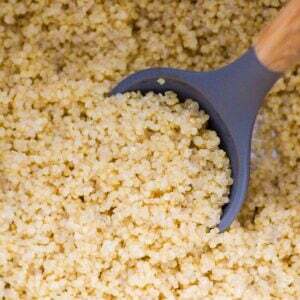 Nuts absorb the moisture really in the bowl and fridge fast. Healthy spinach salad recipe you can whip up with “empty fridge”. Baby kale salad recipe that is much more sweet and tender than regular kale! 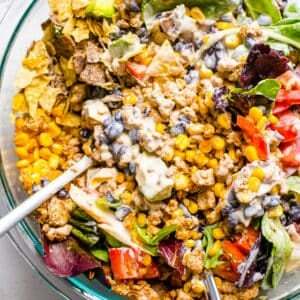 Mexican kale salad that will blow even your grandma’s mind. 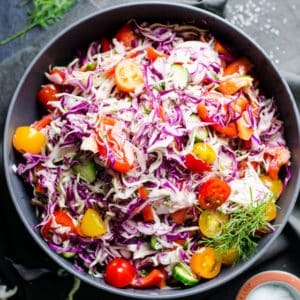 More 30 healthy salad recipes to last you for a year. And may I suggest this healthy strawberry smoothie? I know it’s not a salad but it’s SO GOOD! 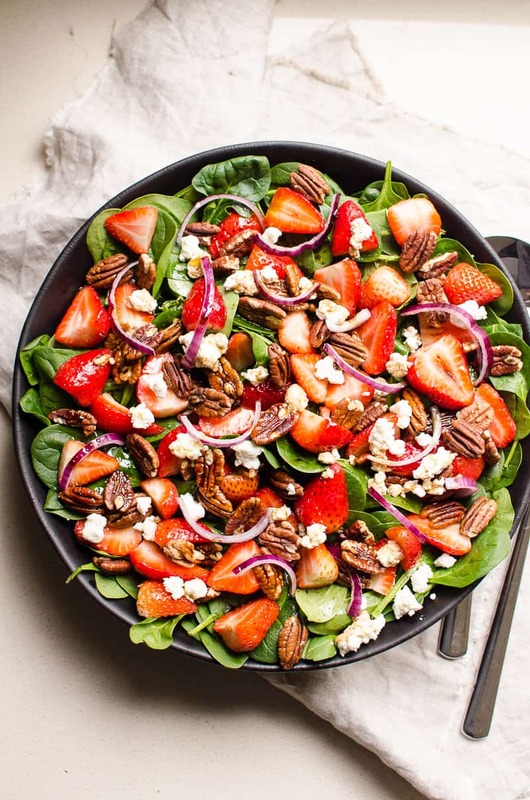 The only strawberry spinach salad recipe you will ever need! 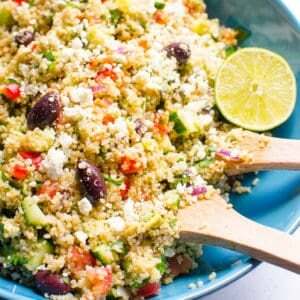 We include tons of substitutions, takes only 10 minutes and everyone will rave about this salad! 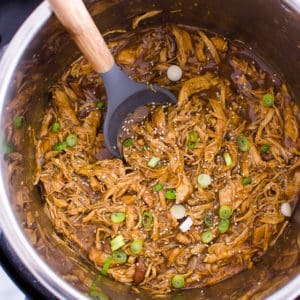 Preheat ceramic non-stick medium skillet on medium heat and add pecans. Toast for about 3 minutes or until fragrant, stirring frequently. In a small bowl, combine Balsamic Dressing Ingredients and whisk with a fork. In a large bowl, add spinach and top with strawberries, cheese, red onion and toasted pecans. Drizzle dressing on top and stir gently until well combined. Make Ahead: Refrigerate covered salad and dressing separately for up to 2 days. If you like nuts super crunchy, store them separately in a pantry.